Are you looking for a delicious seafood restaurant in Rotterdam? Then Zeezout restaurant is a perfect choice. This beautiful restaurant specialises in fish, crustaceans and shellfish, plus it’s also ideally located in the Scheepvaartkwartier. This year, Zeezout celebrates its 20th anniversary in Rotterdam with a anniversary menu. Restaurant Zeezout is situated on a beautiful spot on the Westerkade. The restaurant of Patrick (47 years) and Anet ‘t Hart (44 years) opened in 1998 and has become the best fish restaurant in Rotterdam. The 20th anniversary of the restaurant is cause for a celebration. The whole month of September 2018 is about this milestone. Many ingredients that are used at Zeezout have their base in Rotterdam. 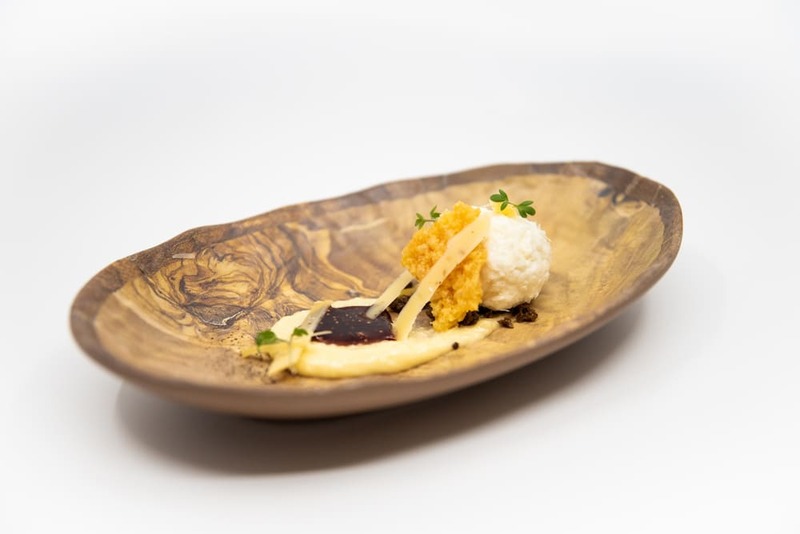 Some examples of Rotterdam products that are used in the dishes include beer from Kaapse Brouwers, Rotterdam Tomasu soy sauce, yoghurt from Luwia, 010 Vodka and Rotterdam mustard. During a press lunch in honor of the 20th anniversary, I and the other invited guests were of course presented with the special Zeezout jubilee menu. 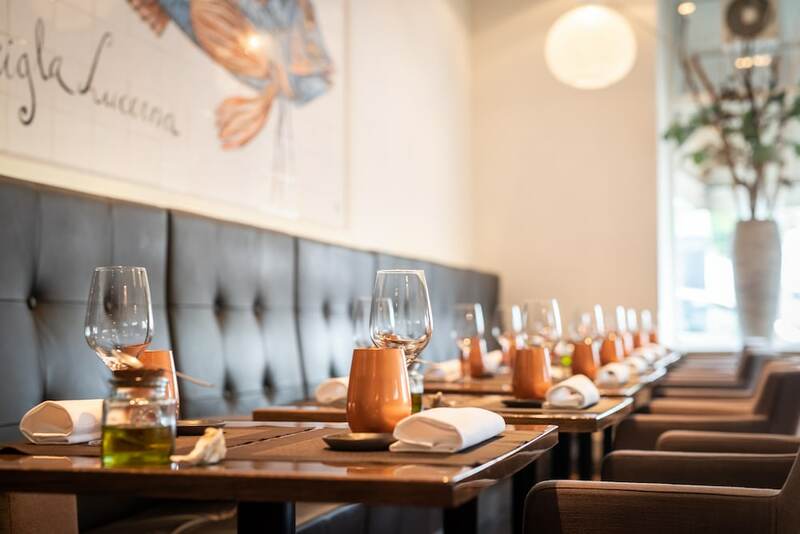 This menu is prepared as a sort of time travel through 20 years of Zeezout, with the best fish, crustaceans, shellfish and real Rotterdam ingredients. The jubilee menu of Zeezout starts with delicious oysters made with beer from Kaapse Brouwers and Rotterdam’s Tomasu soy sauce. Hereafter follows the first starter, a personal favorite, a tartar of tuna in which, among other things, Rotterdam yoghurt from Luwia is used. The second starter is a true taste sensation: a tomato filled with gamba and couscous. After this we got scallops, served with delicious Rotterdam’s mustard. 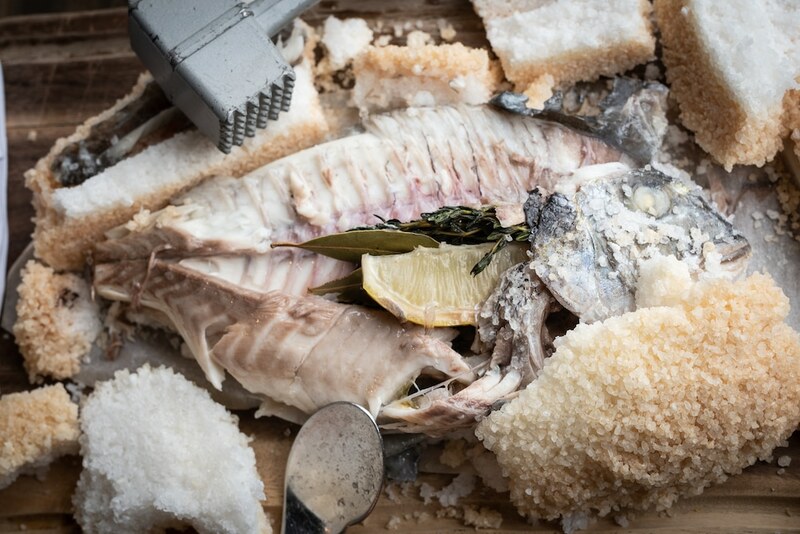 The dorade in a crust of sea salt is surely the most special item on the menu. The fish is completely covered in salt and they open it for you at the table with a hammer. check out this video on RUR.nl how they open it! Then it’s time for a delicious cheese plate. Of course with Rotterdam cheeses! Old cheese, goat cheese, cumin cheese, all combined with Rotterdam fig jam. 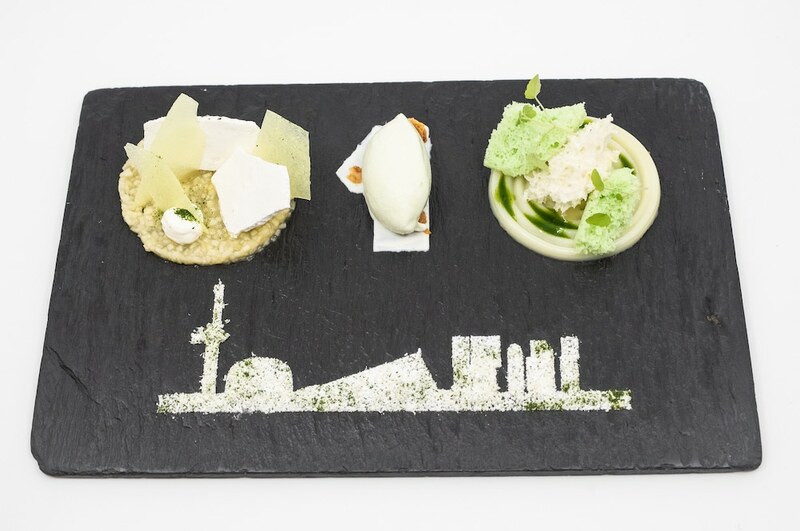 And if the menu is not yet Rotterdam enough yet, Zeezout also serves the Rotterdam skyline as dessert! With, among other things, panna cotta, sorbet and sponge cake… Yum! The anniversary menu of Zeezout is still available until the end of September (so be quick)! For 5 courses you pay € 59.50 and for 6 courses € 69.50. Reservations can be made via the Zeezout website. Have you missed the boat on the special jubilee menu? Of course it’s still worthwhile to visit Zeezout! Especially as a fish lover you should visit Zeezout at least once. The ingredients are fresh and are prepared in a unique way. Besides the delicious food, the service at Zeezout is of high quality. There is a lot of attention for the guests. They offer the Verrassing van de Chef or Surprise from the Chef at Zeezout. Every five weeks the menu of Zeezout changes, so you are always in for a surprise during a return visit. Of course you can also order some thing a la carte! 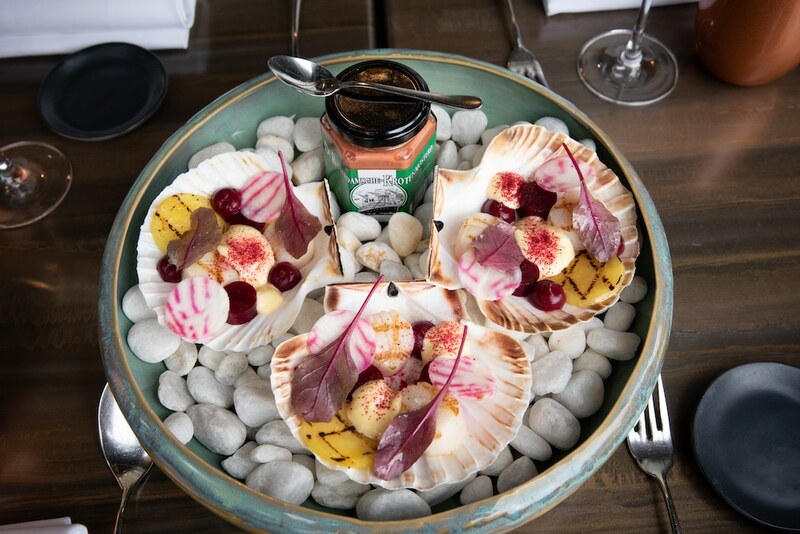 Since Restaurant Zeezout focuses exclusively on fish, shellfish and crustaceans, it’s the ideal place for people who loves seafood. Furthermore, it is an ideal setting to celebrate something special with a 3-, 4-. 5- or 6-course menu (with or without wine arrangement) or for a business lunch or dinner. Zeezout has a very good price / quality ratio. For € 44.50 you already have a delicious 3 course menu and for € 24.00 a 3 course wine package. Have you already been to Zeezout? Let us know in the comments below!